A book on developing a focused mind able to concentrate intensely to increase productivity, Deep Work provides a framework that will shift the way you think about getting things done. 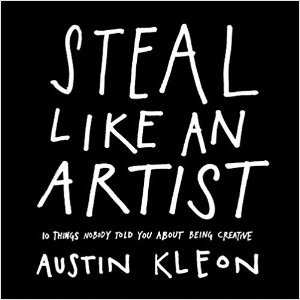 A quick and fun read, this book provides plenty of inspiration on how to brainstorm, ideate, and repurpose ideas in creative ways. Chris Bailey has tried all the popular productivity hacks so that you don't have to. The result is a series of immediately implementable tips and tricks to jump start your latest project and hone your time, attention, and energy. Even if you're not an entrepreneur, 4-Hour Work Week provides an interesting perspective in how to accomplish more and work less. And if you are an entreprenuer, it provides a clear plan around starting and building a sustainable, self-running business. I'm Ahsante: Artist, Video Producer, Storyteller, and YouTuber. © Ahsante Bean 2019. All Rights Reserved.